Its official name is Saiho-ji but it is commonly called Koke-dera (Moss Temple) because of its appearance. The precincts are covered with more than 120 kinds of moss that makes the ground look like a green carpet. There is a famous stone guardian deity that is said to grant one of your wishes at this temple. In particular, the deity is famous for helping to get success in love. Lucky charms and talismans found at this temple are very popular. Daigo-ji is famous for its cherry blossoms. It is said that Hideyoshi Toyotomi, a important general during Japan’s civil wars period, enjoyed cherry-blossom viewing there. The various kinds of cherry blossoms at this temple are certainly worth a visit. This pedestrian path is most popular during the cherry blossom season, where the aligned cherry trees create a spectacular scenery. The route passes many temples and shrines, and offers beautiful views in all seasons. This bridge is famous for its cherry blossoms and its autumn leaves. It is lit up at night, creating a magical scenery. This Buddhist temple was built in 998. The most famous building in the temple is the Hoo-do (Phoenix Hall). Surrounded by a beautiful pond, it is the only remaining original building, as others were destroyed during the war in 1336. Yasaka Shrine is also called Gion Shrine, as it is located in the Gion district of Kyoto. It is particularly popular during the Gion Matsuri and during the cherry blossom season. 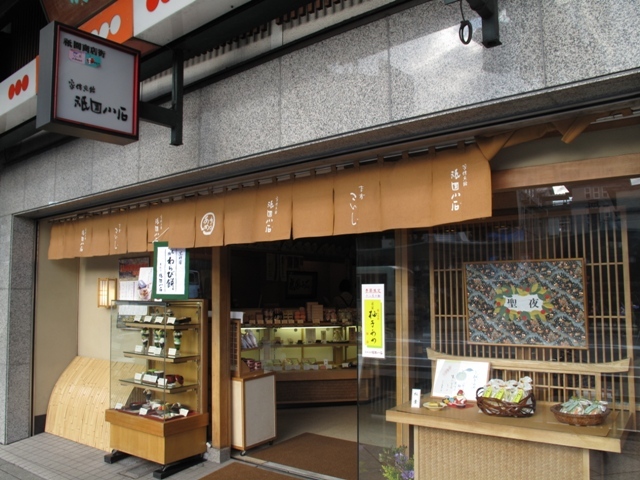 Gion Koishi is a tea shop/salon in Gion area specializing in Japanese green tea. It is famous for its green tea shaved ice topped with black sugar syrup, a very traditional Japanese treat. Kibune is a mountain village used as a summer retreat by Kyoto residents. In summer, it is famous for its kawadoko restaurants, which are traditional tatami rooms built above the river. It is a great place to cool down during Kyoto’s hot summer. You can still enjoy kawadoko in Kibune even in autumn. Enjoying the autumn leaves while sitting in a kawadoko restaurant is a very memorable experience. There is a lot more to visit and to enjoy in Kyoto, the most famous sightseeing city of Japan. You will certainly make unforgettable memories once you visit Kyoto.